Knight Frank India today launched the eighth edition of its flagship half-yearly report -India Real Estate. The report presents a comprehensive analysis of the residential (across eight cities) and office(across seven cities) market performance for the period July – December 2017 (H2 2017). The weighted average prices fell by an average of 3% across cities with Pune witnessing the highest decline of 7% YoY followed by Mumbai at 5% YoY. Markets high on ready to move inventory such as Hyderabad and Ahmedabad saw prices move up 3% and 2% respectively. 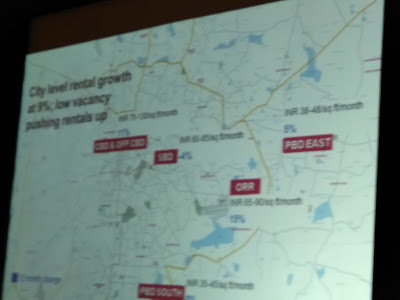 Except Mumbai that saw surprise new supply of office stock, strong rental growth was recorded across other office markets. While Mumbai saw flat YoY rental growth, Hyderabad and Bengaluru experienced the strongest rental growth at 8.5% and 9.2% YoY respectively. Speaking on the occasion, Shishir Baijal, Chairman & Managing Director, Knight Frank India said, “2017 was been packed with uncertainty, volatility and long-term promise of new opportunities. While a battery of reforms tested industry stakeholders, the new paradigm of transparency and consolidation achieved in the process should pave the way for healthy momentum in the near future. Until the end of 2017, India’s residential sector had shrunk to a fraction of its size in less than a decade. Nevertheless the near standstill triggered by demonetisation seems to have tapered with time. At the same time stakeholders are growing in confidence with the gradual acceptance of structural reforms such as the Real Estate (Regulation and Development) Act, 2016. The Industry however, is still grappling to navigate its way through the new tax regime post the introduction of the Goods and Services Act.